Immerse your child in creative fun at the LUX all summer long! We offer week-long camps for K-12 in painting, drawing, pottery, STEAM and more. Browse our camp offerings and register online today! We invite you to Eat Drink Art, an annual benefit supporting the programs of the LUX Center for the Arts, on Saturday, April 27, 2019. Bid on art by local, regional and national artists and expand your collection! RECEPTION - Friday, Apri 5 from 5-8 p.m. RECEPTION - Friday, April 5 from 5-8 p.m. The LUX Center for the Arts makes art happen in Lincoln. 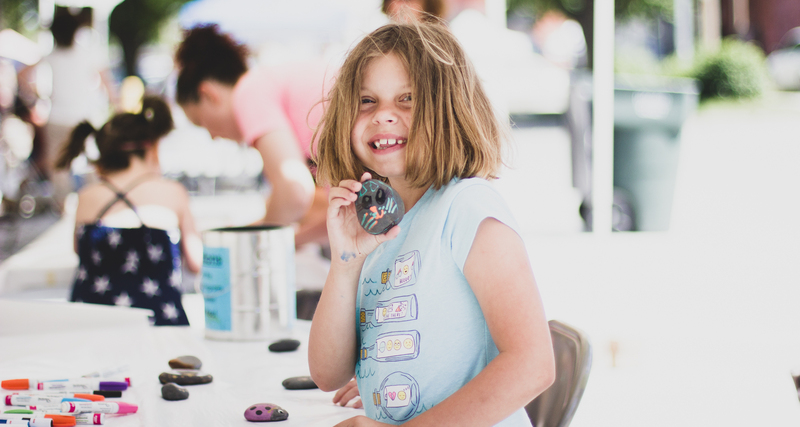 In our classrooms, youth and adults discover the joys of pottery, printmaking, painting, jewelry, drawing and more. Throughout the year our Art Van takes art classes to at-risk youth, low-income schools, cancer patients and others that benefit from having a first-hand art experience. The LUX galleries and store represent the highest caliber work of local, regional, and national artists, exhibited in more than 18 shows annually. LUX Center for the Arts is a 501(c)(3) non-profit organization. Learn more about all the art discounts, perks and benefits of membership. Find out all the ways your gifts can make art happen in our community. Interested in expanding your collection or giving a gift of fine art? Shop our online Gallery Store. of our creative community events! 1011 Now Feature: "Louie LaBudda displays his ceramics works at the Lux"
Watch the full 1011 Now video interview here. LJS Feature: "Lux's 'Dementia Americana' — three Native artists explore clashes between traditional and contemporary"